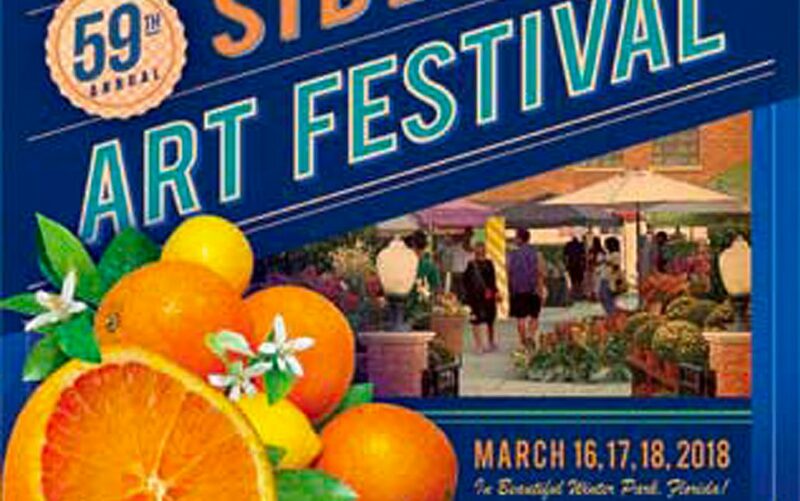 The Winter Park Sidewalk Art Festival is one of the nation’s oldest, largest and most prestigious outdoor art festivals. The Festival debuted in March 1960 as a community project to bring local artists and art lovers together. It is produced by an all-volunteer board and draws more than 350,000 visitors each year. Over 1,100 artists from around the world applied for this year’s Festival. An independent panel of three judges selected the 225 artists exhibiting their works. The Festival consistently ranks as one of the top juried fine-art festivals in the country. Recent accolades include the #4 ranking in Art Fair Calendar’s “2016 Best Art Fairs” and Art Fair Source Book’s listing in their “Top 10 Fine Art Shows, 2016”. The Festival is also listed in Sunshine Artist Magazine’s “Top 100”.